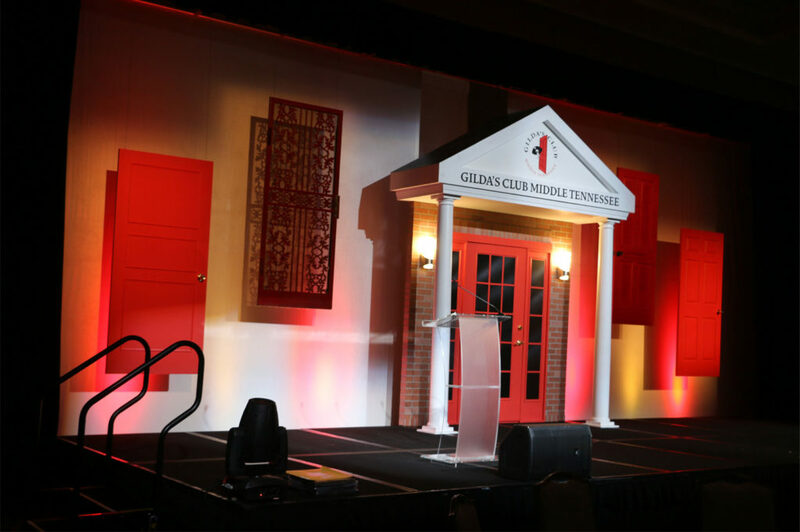 Recently, Gary Musick Productions partnered with Cadence Travel to produce our third annual National Sales Meeting for Guild Mortgage. 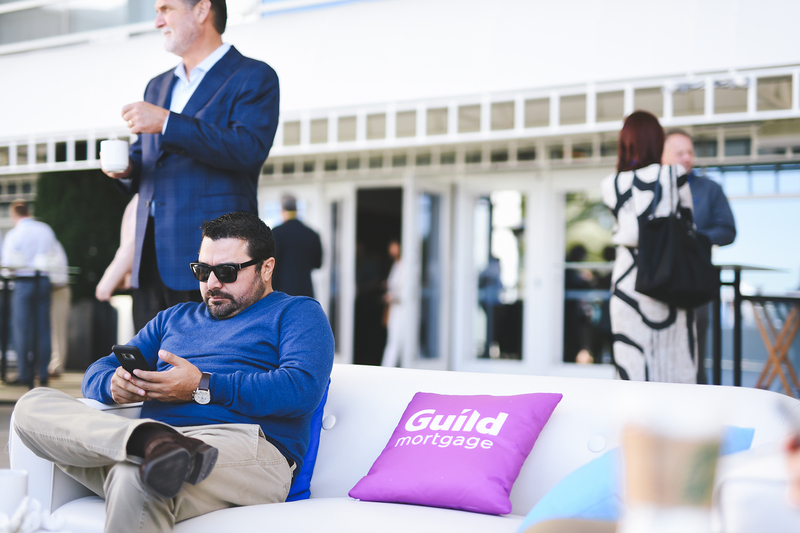 A highly respected company in the industry, Guild Mortgage has more than 250 branches and satellite locations and is ranked ranked No. 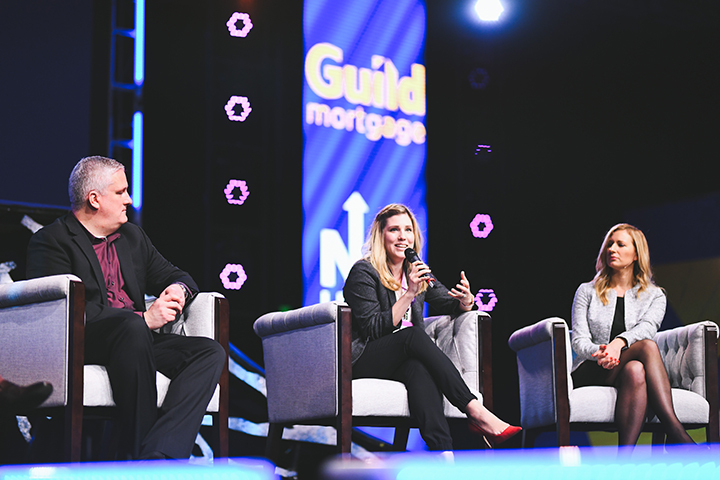 6 in the U.S. in top overall residential volume. 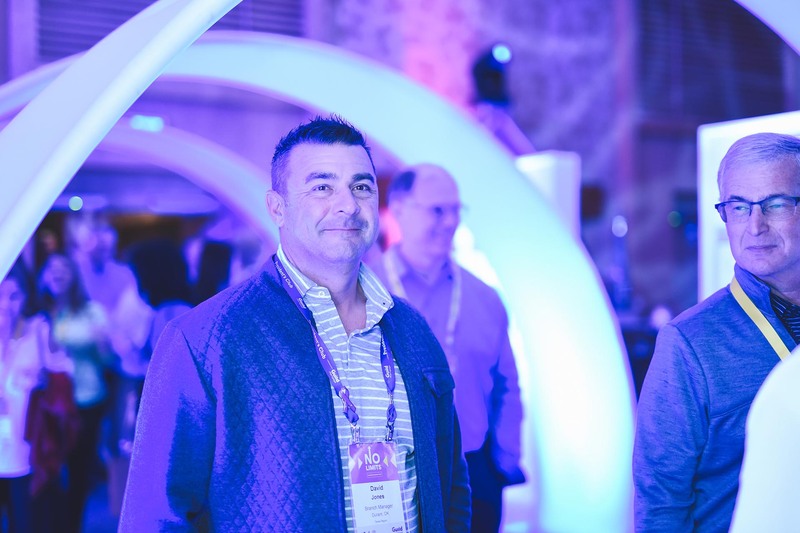 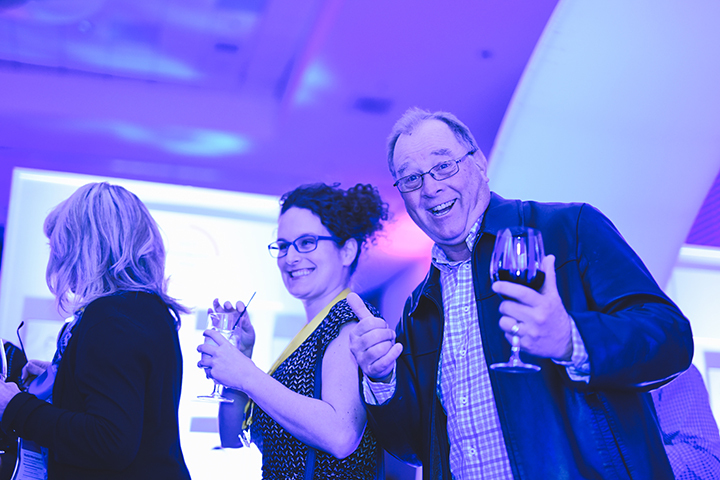 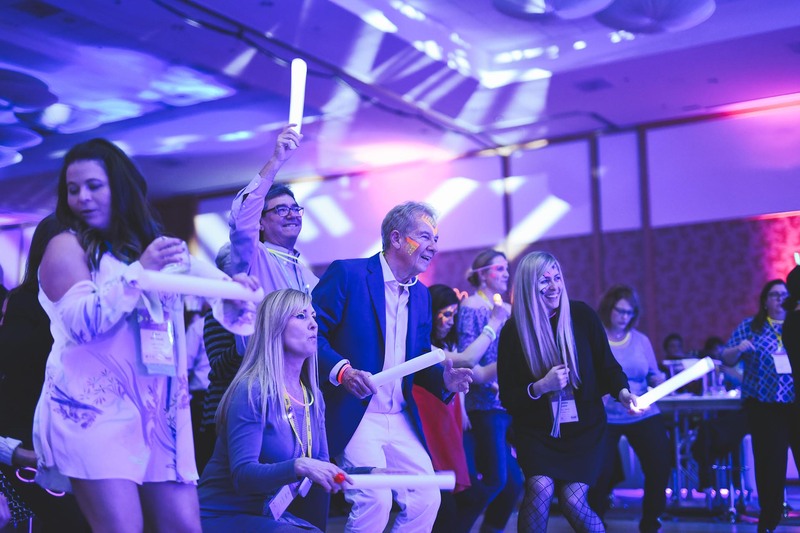 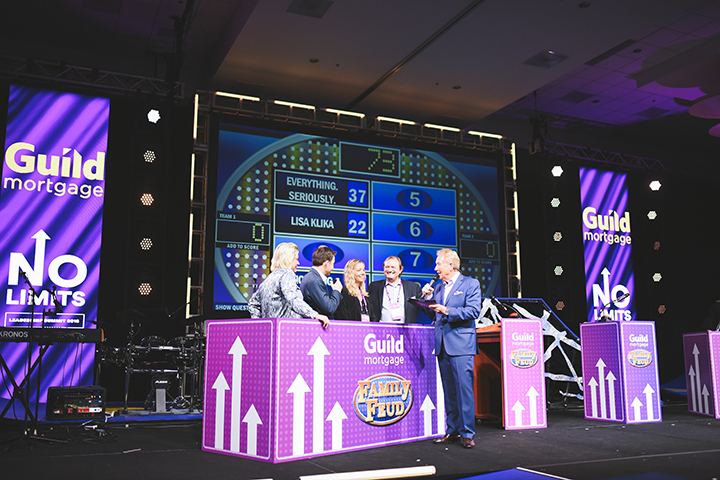 This show brings together the top 700 Guild sales associates to discuss current industry trends and celebrate their achievements over the last year. 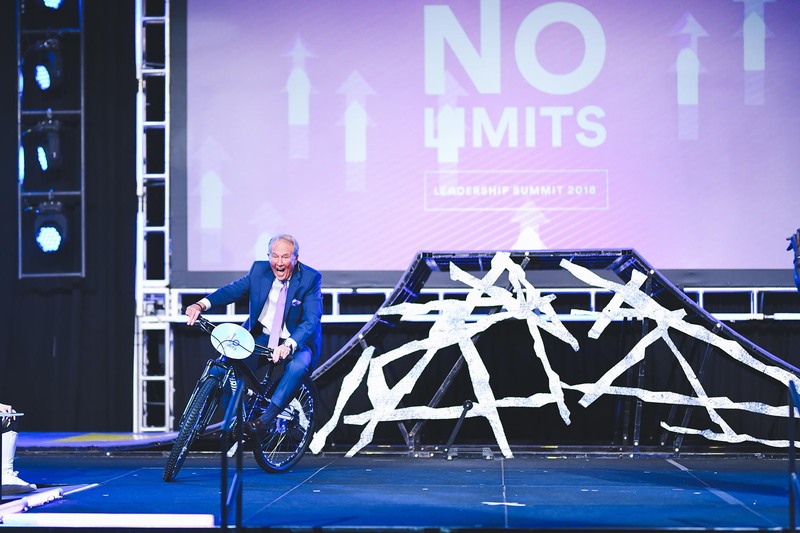 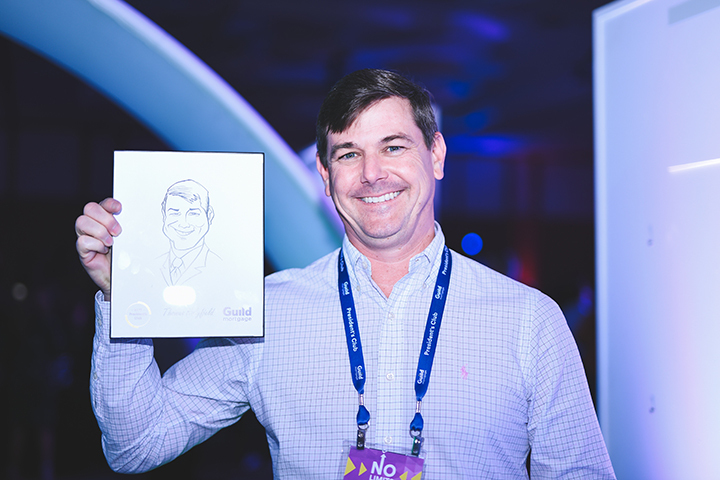 The conference theme celebrated Guild’s “NO LIMITS” mindset. 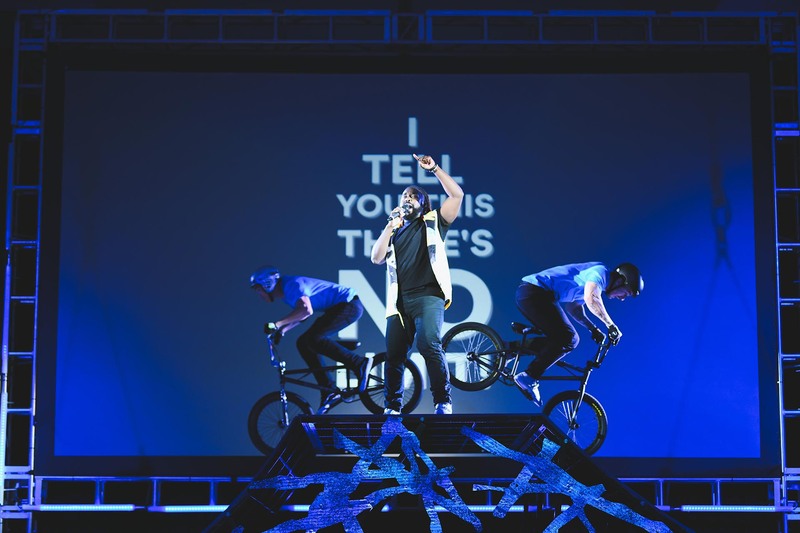 The opening session featured stunt performers soaring in the air over the stage while BMX bikers, roller bladers, jumping-stilt acrobats and nationally renowned singers performed below. 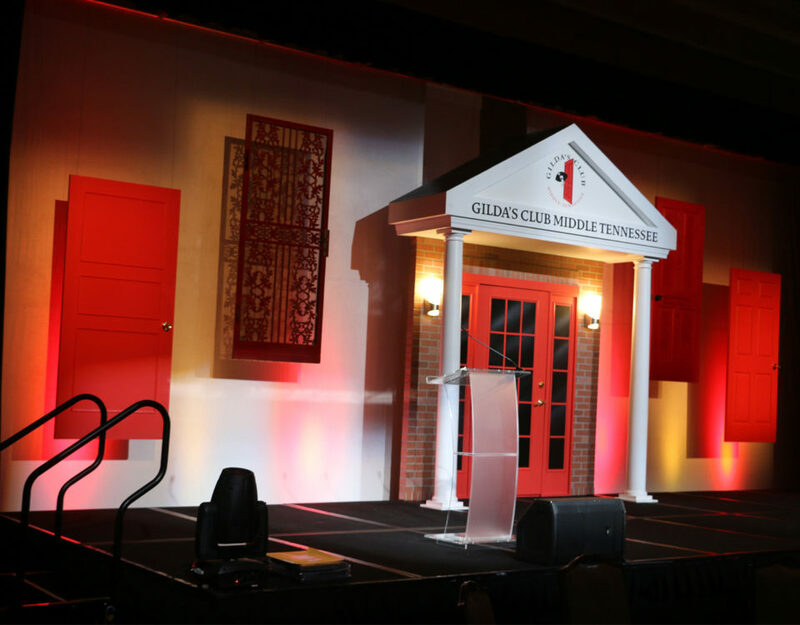 GMP created personalized video content and custom-built sets to enhance the “NO LIMITS” theme. 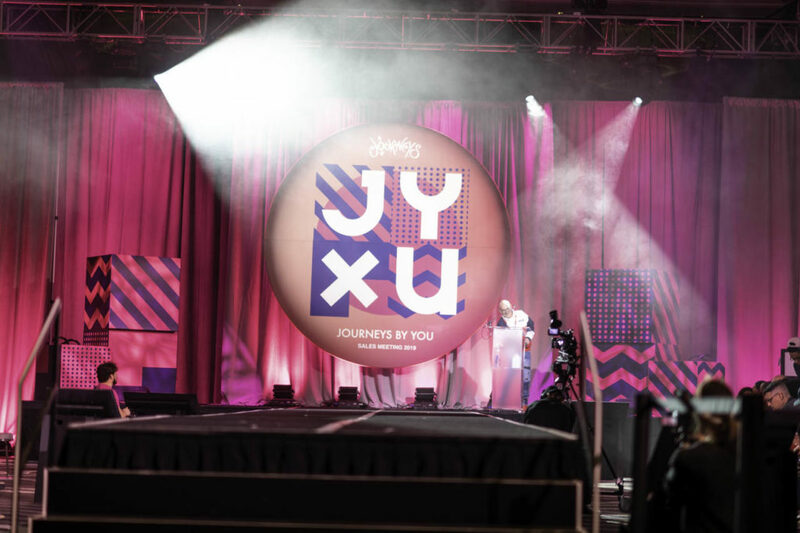 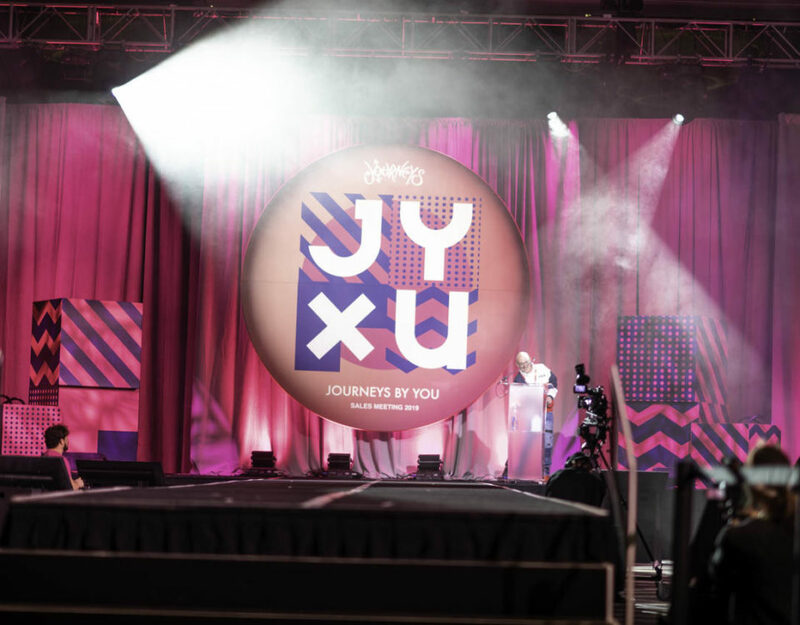 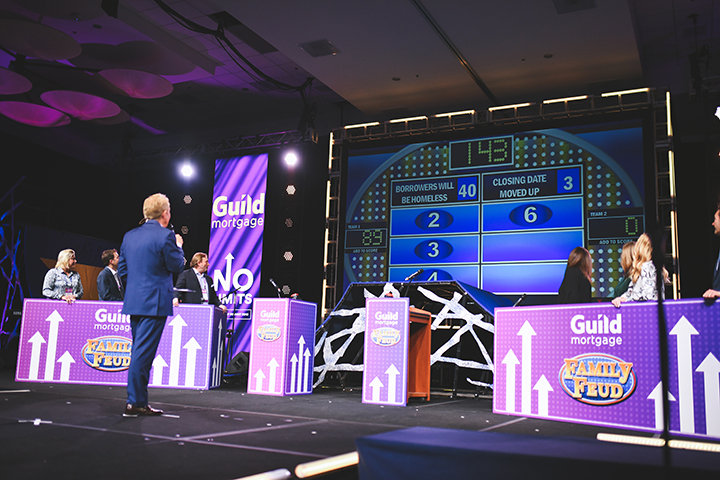 Curated song lists, a company-themed game show and custom lighting projections added to the event’s personalized touch. 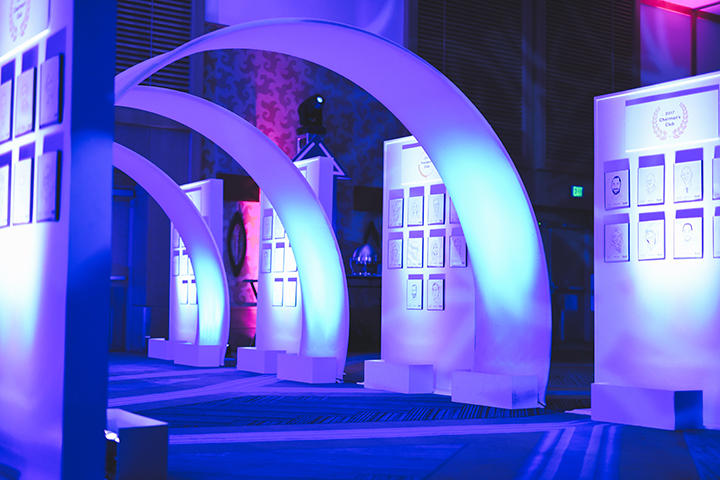 On the final evening of the event, we transformed the ballroom from a general session conference to a unique awards party complete with a live DJ, 10-piece party band, custom games, and multiple food-stations serving a diverse array of high-end cuisine. 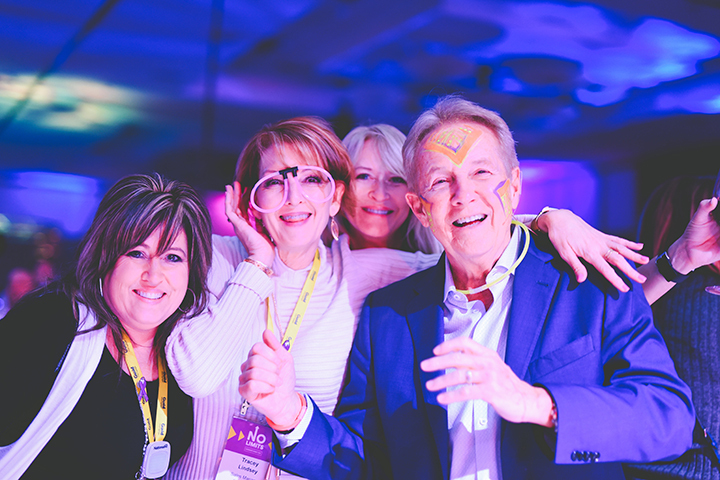 The party also featured face painting, glow sticks, a photo booth and a custom-built Plinko game wall. 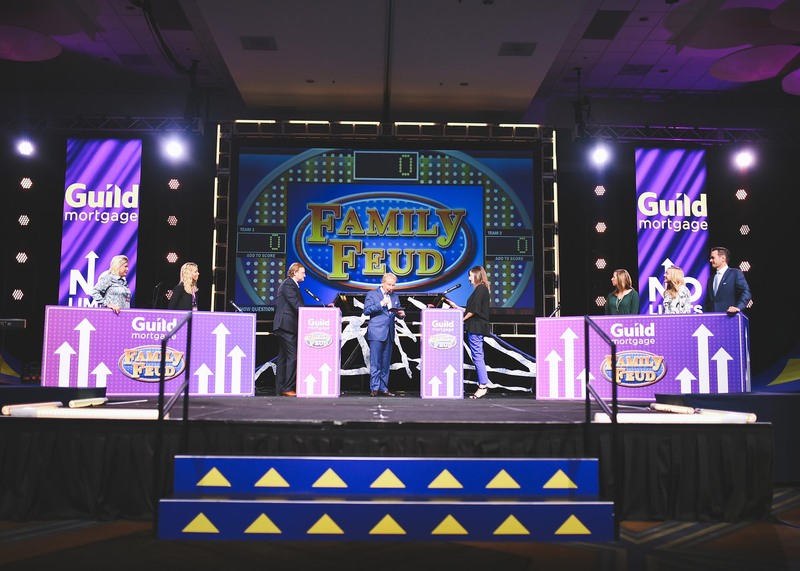 From concept to creation, the Gary Musick team worked with Guild and Cadence Travel to create a concept that was cohesive and complementary to Guild’s brand. 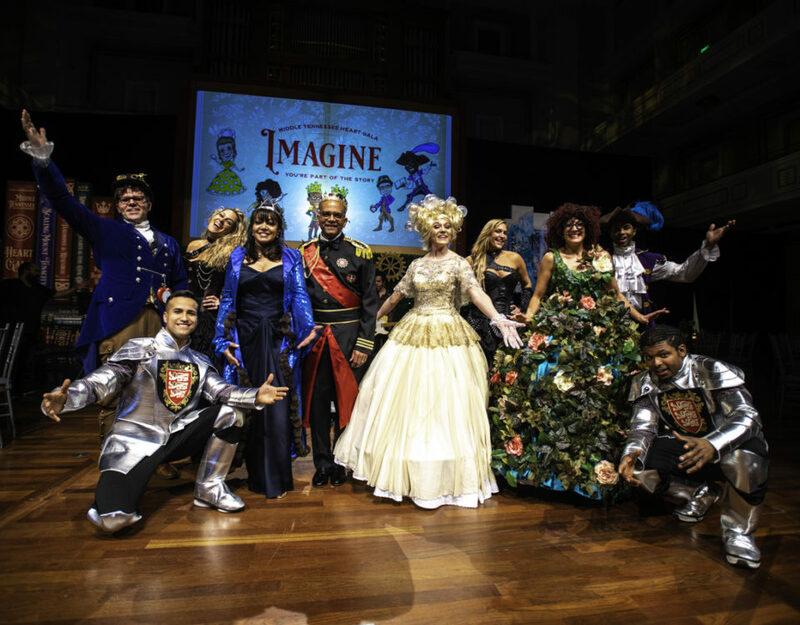 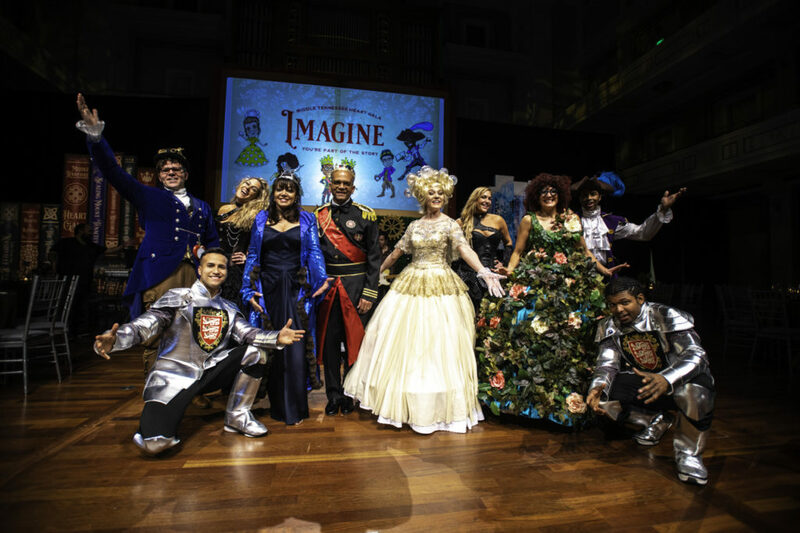 GMP designed and built the sets, wrote portions of the script, created the “No Limits” opening performance and ran the overall production of the show from beginning to end. 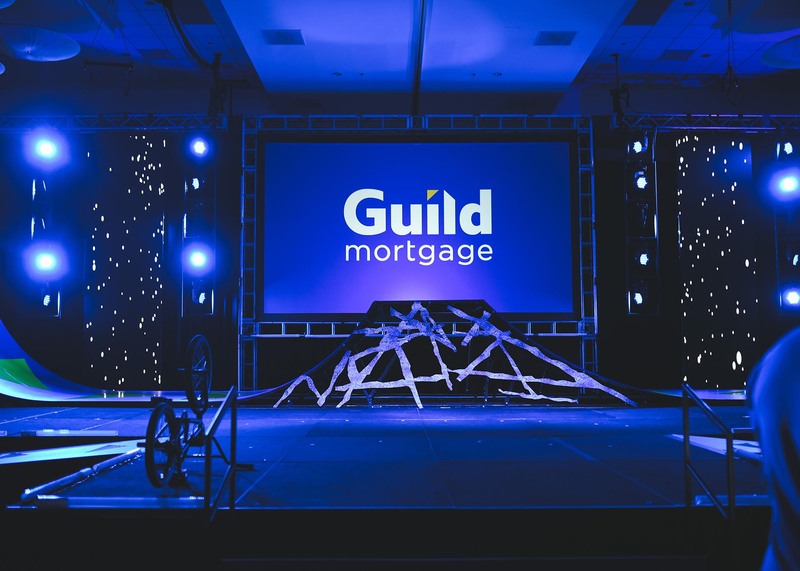 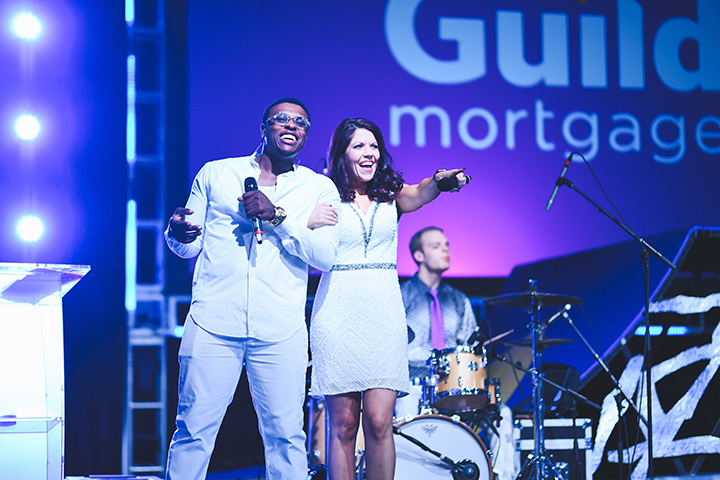 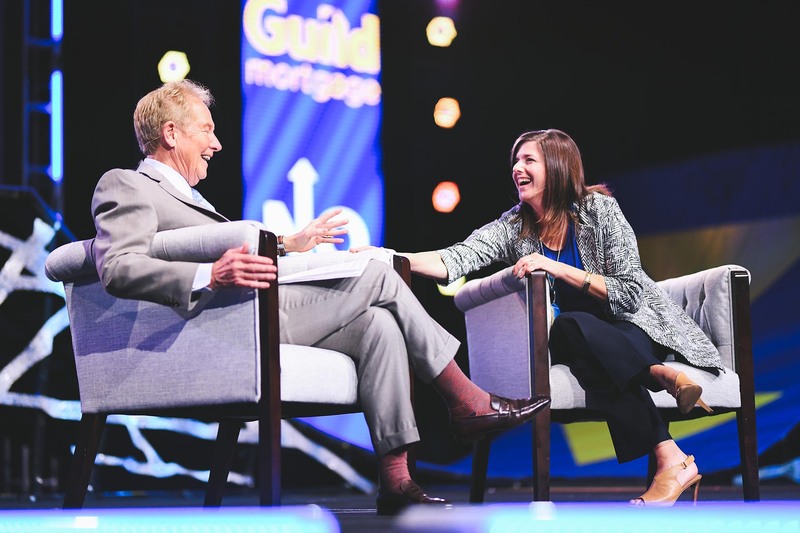 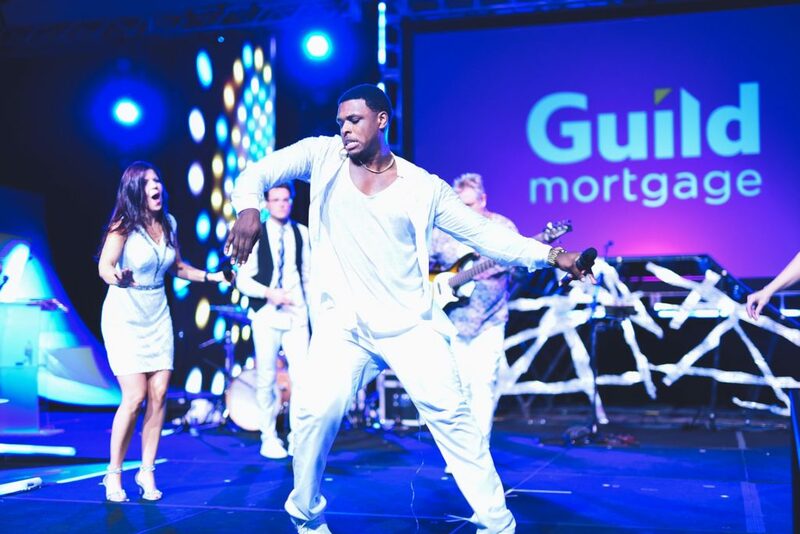 Gary Musick Productions truly is a one-stop shop for show production, and it was an honor to once again work with the great team at Guild Mortgage.